The spinal surgery is carried to get the patient out of back pain so that he can return to his normal life again. As spinal surgery has evolved over the years, it lays more focus on minimizing he trauma that is caused to the body during surgery. It also accelerates healing process as only minimal incision is made which results to faster recovery. The Robotic Assisted Spine Surgery offers potential benefits to the patients and surgeons because of several reasons. 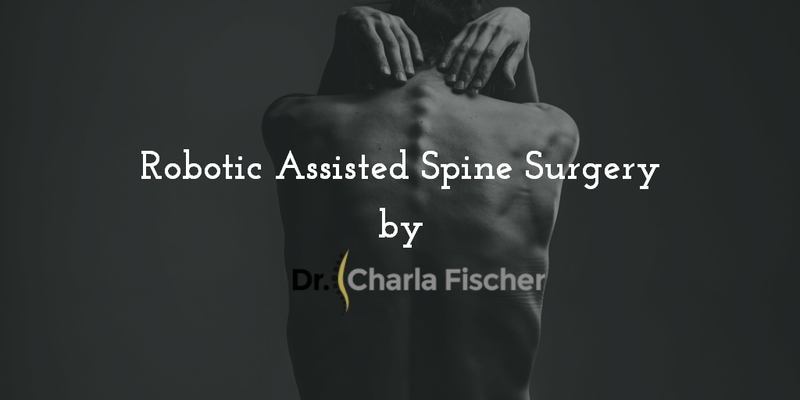 It is a minimally invasive technique so it requires lesser time to heal and at the same it improves the spinal instrumentation accuracy and eases out the complex surgical procedures. This spine surgery NYC brings to use accurate, state-of-art technologies for treating spinal conditions, including spine tumors, spinal deformities and degenerative spinal conditions. The technique allows surgeons to use images taken during CT (computerized tomography) scan, prior to the surgery for creating the blueprint. The Robot guidance system is a tool brought in use to guide the instruments used by surgeon. This procedure is carried out only after thorough pre-operative planning. Historically, the robotic devices were large, but with new technology, the robotic assistive device is attached to the patient directly and then remotely controlled by the surgeon who uses a computer workstation with a touch screen monitor. The computerized CT scan images and intra-operative fluoroscopic images both are brought in use for planning the operation. Then a 3 dimensional image is created so that surgeon can find with accuracy the length and placement of each and every pedicle, facet and trans-laminar facet screw. The procedure is accompanied by decreased exposure to the radiation as the number of fluoroscopic images taken is less. Moreover, the accuracy of screw placement is also increased by around 98%, otherwise earlier the chances of screw misplacement were over 10%. The robotic assisted surgery assures lower risk of neurologic issues. Studies have validated that there have been superior results in adolescent scoliosis reconstruction with robot assisted technology. The procedure has been found to be helpful in vertebroplasty too and has higher success rate if compared to the traditional methods. It has also been helpful in carrying out the spine biopsies as surgeons can now pinpoint the exact location for biopsy hence reducing the amount of radiation and time required. Robot assisted spine surgery is a technology that promises accuracy and allows spine surgeons NYC to perform surgical procedures with smaller incisions. © 2017 Dr. Charla Fischer. All Rights Reserved.